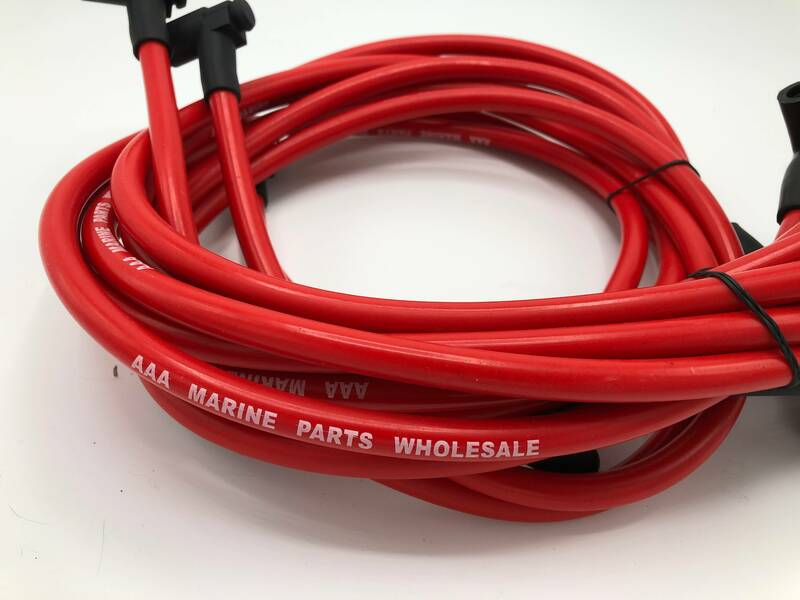 Our very best marine grade wire designed for ChevProMarine 65000 volt ignition systems (stock is around 18,000 when new) and perfect for 100% dependability for any V8 or V6 High Energy Ignition HEI) or completely stock engines. Stock wires are 7mm. For a size comparison see photo #2-over 45% larger and AWESOME in appearance and performance! The finest construction available! Professionally made for high RPM marine performance use but perfect for your street or race motor too. Designed to fit under the manifolds or headers. 90 degree black watertight boots. 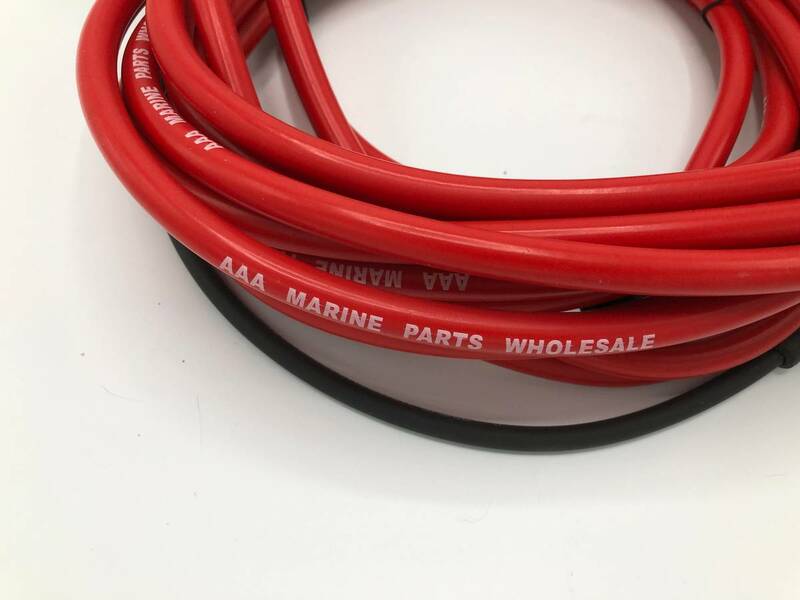 All wires are red and have AAA MARINE PARTS WHOLESALE inscribed for identity and clarity and brand awareness. (our trademark color) AWESOME is the word! And, FREE SHIPPING to all 50 states and PR.